If you're in between sizes, we recommend ordering the size that fits your waist best. The fabric doesn't stretch. 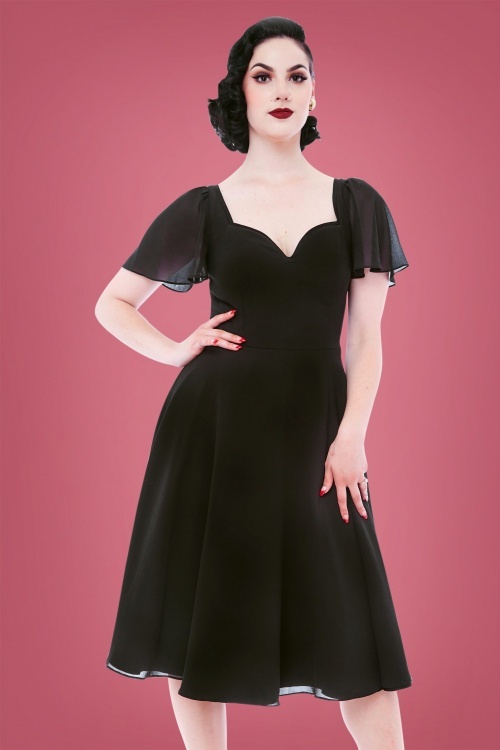 This 50s Enchantment Swing Dress in Black is spellbindingly beautiful! 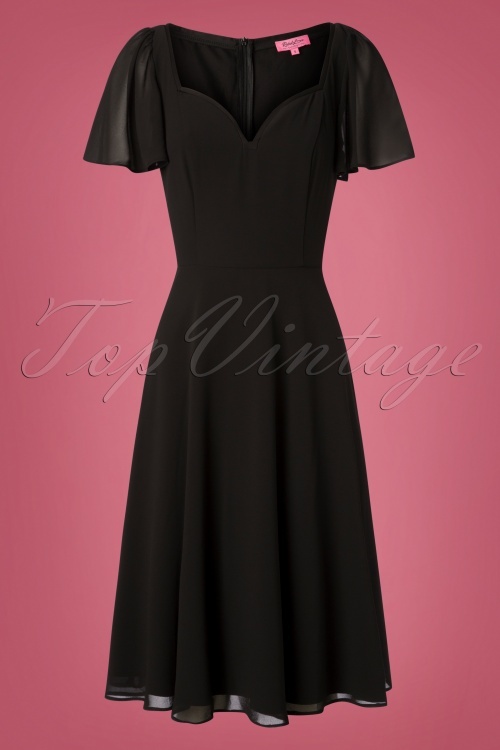 She features a fitted top with a stunning sweetheart neckline, finished off with black piping and short, flowy, semi-sheer butterfly sleeves. She runs from the waist down into a flowy semi-swing skirt that gracefully moves along with every step you take. 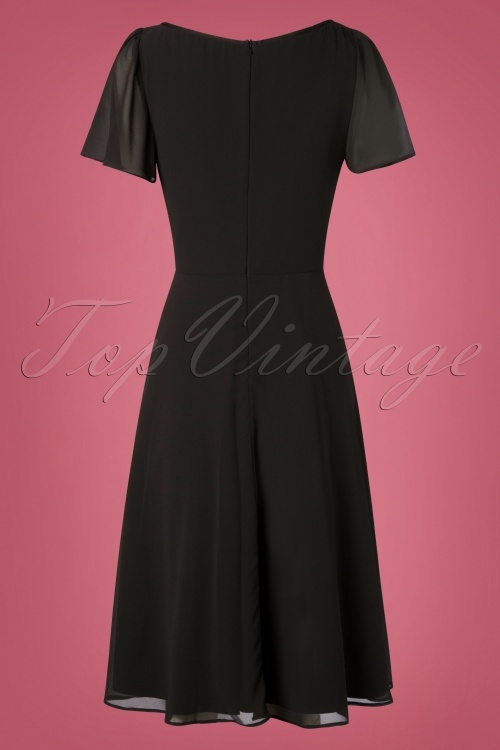 Made of a firm, yet supple, black fabric (doesn't stretch) and a top layer made of semi-sheer black chiffon. Some fairy tales do come true!